"Citizens in Louisiana deserve resources to help heal and resolve the ills they face. Future generations are depending on us to make the world a better place, and I possess the insight, values and passion to represent everyone. I PROMISE TO ALWAYS BE TRUTHFUL, TRANSPARENT, AND PUT PEOPLE FIRST!" 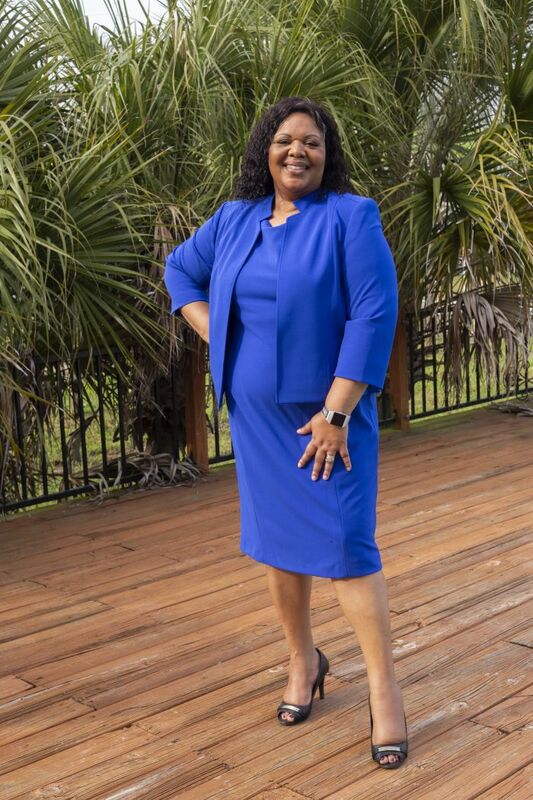 I am Sandra “Candy” Shoemaker-Christophe born to high school sweethearts and raised with my sister in the small town of Clinton, Louisiana in a loving home in a blue-collar neighborhood. My community was poor, and this united it more than racially segregating laws could divide it. Neighbors were caring and protective of family. My instincts to lead were nurtured early as I immersed myself in school extracurricular activities; however, my career course to counsel and support victims of broken families quickened when my parents were divorced during my sophomore year in high school. In May 1986, I graduated with 79 of my peers from Clinton High School who had elected me as President of my senior class. I attended a small private Baptist college on an academic scholarship. Louisiana College is where I studied Psychology and Sociology. There I received my bachelors' degrees as a double major. I then chose to acquire a master’s degree from Grambling State University in Social Work with a minor concentration in Business Administration. I continued to become a Licensed Clinical Social Worker and a Licensed Addiction Counselor. While attending Grambling State University, I enjoyed the cultural environment unique to an HBCU (historically black college and university). 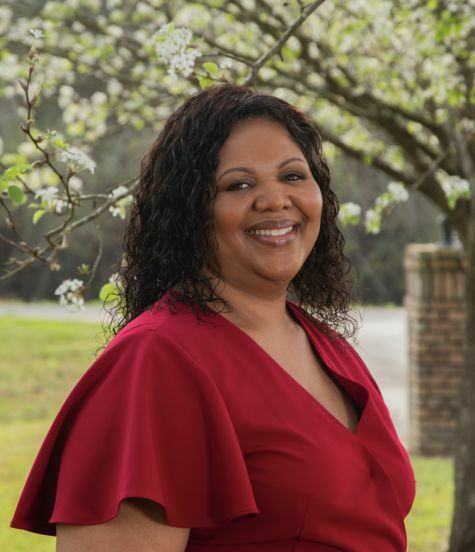 Following academic and certification training, my employment experiences include counseling and administering programs at Rapides Parish School Board, La. Dept of Health & Hospitals, La. Dept. of Corrections, V.A. Medical Center, Christophe Counseling & Associates. My experiences have permitted great intimate insight into the multiple and complex needs of all people, regardless of social economic status, color or cultural background. I have been able to sit on both sides of the desk as a consumer and provider of professional services. I am the founder of Re-Entry Solutions, a nonprofit organization. With the support of my husband, Andre, I served as an unpaid Executive Director and Fundraiser for eight years. Re-Entry Solutions is dedicated to assisting returning citizens to achieve success as they return to their communities. Empowerment services include employment assistance, housing, and local resource connecting. I have been recognized for excellence in providing supportive services: Hometown Hero Award, Central Louisiana Human Relations Award, Delta Economic Development Award, Louisiana Department of Corrections Secretary Seal Award, featured by Louisana Public Broadcasting and a 2012 Louisiana Justice Hall of Fame inductee. I know that our communities are hurting. I believe that citizens of our state should not have to live life in a state of crisis. Systematic oppression in our government is wrong and better use of our tax dollars will result in meaningful resources to help heal the ills that reduce the empowerment of others. Future generations are depending on us to make this world a better place for those who will follow! I look for unifying elements in people and circumstances; I believe this allows us to recognize the value of all contributors to society and realize the sacrifices of our forefathers. I am a woman with conviction and follow strong spiritual guidance. As a member of The Pentecostals of Alexandria for the past twenty years, I believe that serving others is an honor and a privilege. 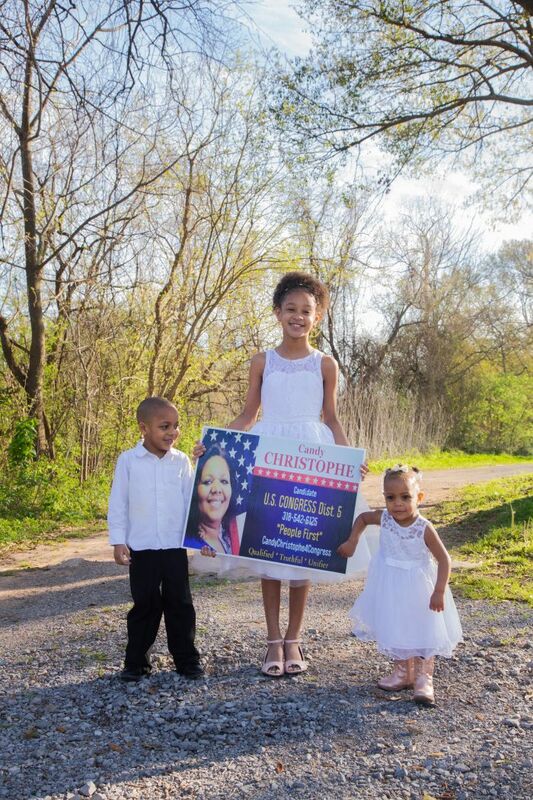 I am Candy Christophe, a candidate offering to serve my state in the 5th Congressional District of Louisiana. I believe that I possess the insight, values, skill sets, and passion to represent all people. I am not asking, “What can my country do for me?" Instead, I am asking, "What can I do for my country?” I ask for your prayers, support, and vote as we unite to put, "People First!" Paid for by the Campaign Committee to elect Sandra "Candy" Christophe.